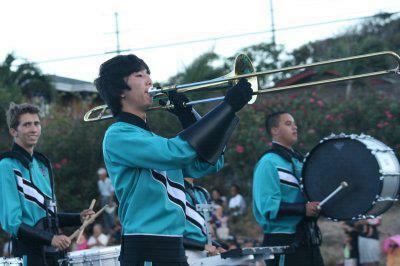 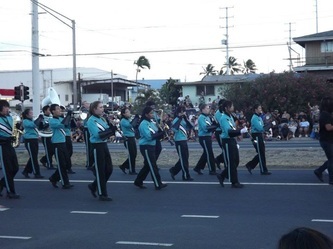 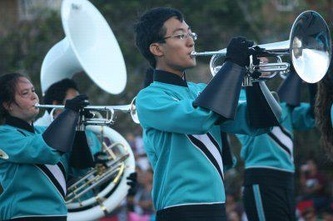 The King Kekaulike High School “Na Ali'i Pride” Marching Band is an after-school ensemble that specializes in a wide variety of popular music ranging from rock to heavy metal, jazz, and funk. 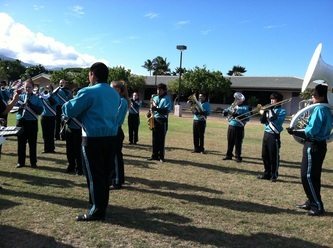 As the most visible of the Music Program’s ensembles, members are expected to show a high degree of school spirit. 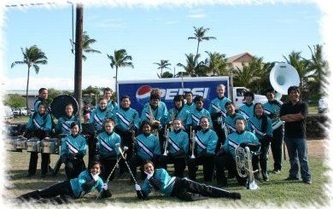 No frowns allowed! 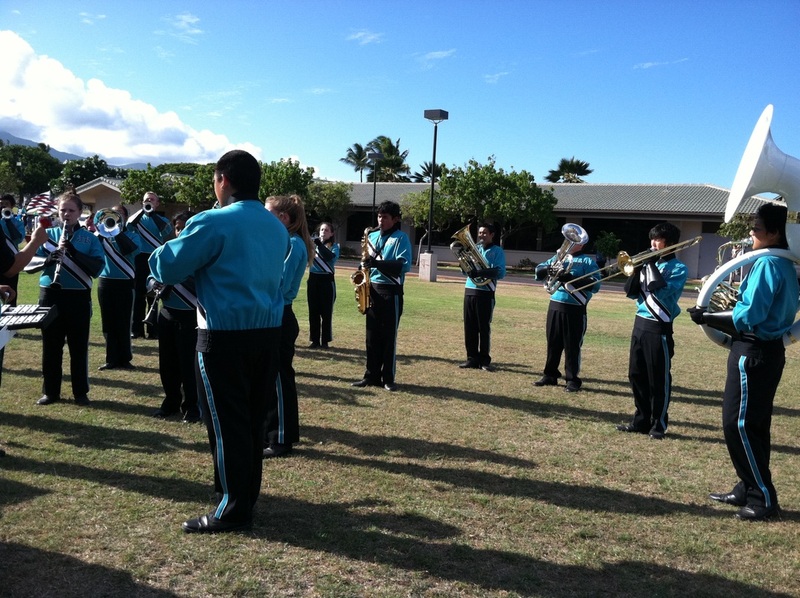 The Marching Band rehearses three times a week on Mondays, Tuesdays, and Thursdays from 3:00pm to 5:30pm (3:30-5:30pm on Tuesdays) during the fall semester, until the end of football season. 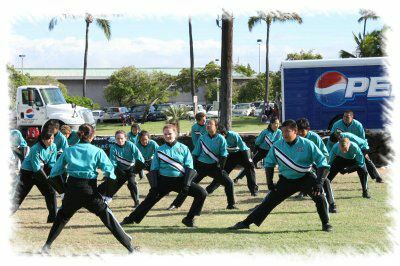 A summer “rookie camp” will be scheduled to ease new members into the fun-yet-disciplined tradition of Na Ali'i Pride. 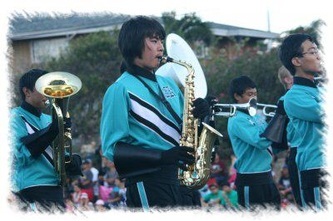 Please contact Mr. Nagata for more details. 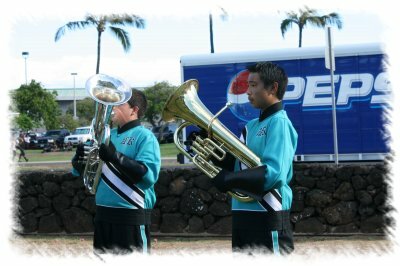 Students must be registered for the Ensemble I-IV class to be eligible for participation in the Na Ali'i Pride Marching Band. 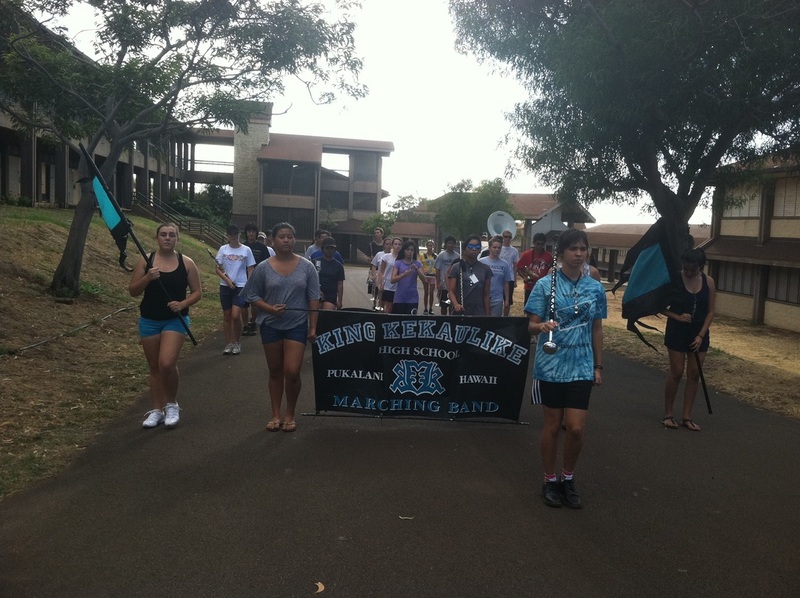 It is highly recommended that all students in the KKHS Music Program join both the Marching Band and Wind Ensemble in order to achieve a more complete and well-rounded musical experience. Now we won’t lie to you; at times marching can be frustrating, but don’t let it get you down. 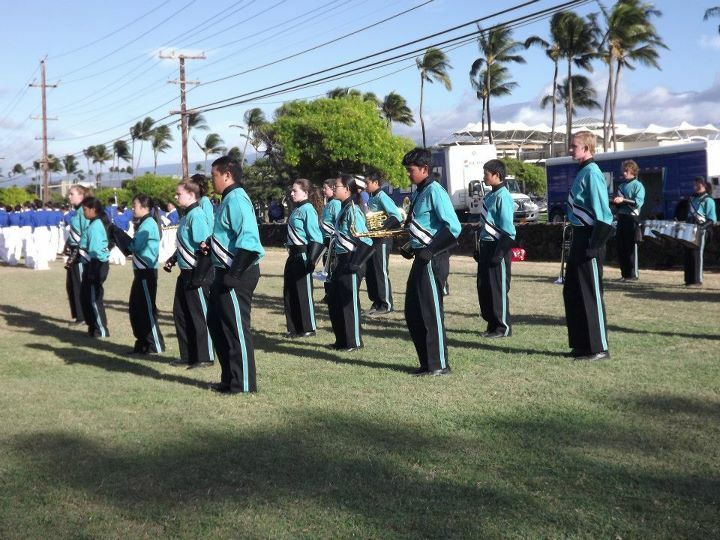 Everyone starts off a little green, and believe us, the payoff will be well worth the wait! 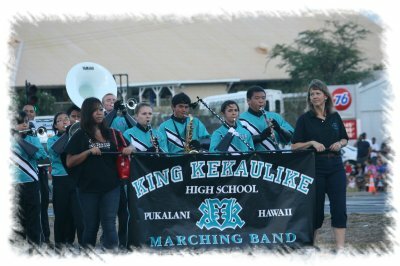 Just remember, we’re here to represent King Kekaulike and showcase what being Na Ali'i is all about! 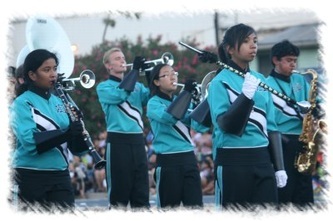 2014 Na Ali'i Pride Marching Band Field Show – Aim For The High Score! 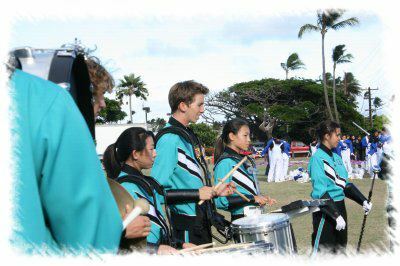 The Na Ali'i Pride Pep Band performs during the fall & spring semesters and is comprised mostly of carry-over members from the Marching Band, though some members of the Wind Ensemble opt to join once marching season is over. 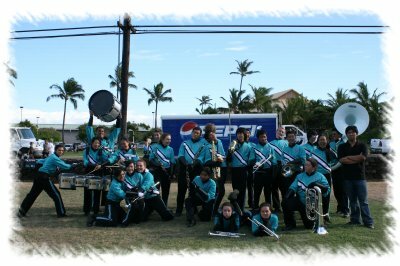 The repertoire of the Pep Band is generally the same as that of the Marching Band's stand tunes, with only a couple of additions and modifications to fit the new sports. The Na Ali'i Pride Pep Band usually does not rehearse during the Spring Semester unless circumstances require it and performs less frequently than the marching band. This group is all about having fun and representing the school well! 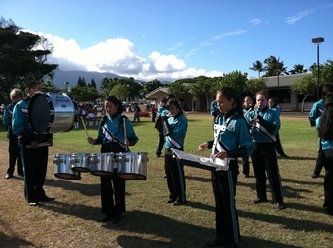 A full sports schedule can be found under the "Athletics" tab of the school website.